1. Font info: In the Font selector show as much information about each font as practical (ideally let the user configure which attributes are shown), and provide a "get info" function to display all available details. Attributes of interest would include licensing flags (embeddable, etc.) existence of Kerning pairs, OpenType features of interest, western language support, CJKV support, etc. 2. Basic Font management: I'd like to be able to organize fonts into groups (potentially having one font in multiple groups). I'd like to be able to attach some notes text to a font that would be viewable as a tooltip say, or an attribute in the font info described above. "We provide kerning based on tables in the font file. As these are pretty well supported by fonts, doing anything more isn't a priority at the moment." which is disappointing. I hope they'll consider it in the future. Optical kerning would be re really nice! But maybe it is not the simpliest feature to make? Your first two suggestions are interesting ideas, but the the third especially, optical kerning support, is an important element in quality output. I find many fonts, even with kerning tables, fail in this respect, where optical kerning does a better job. I find it amusing that Adobe's default font, Minion "Pro," is better with optical kerning for the many kinds of constructions in French such as the very common word c'est. 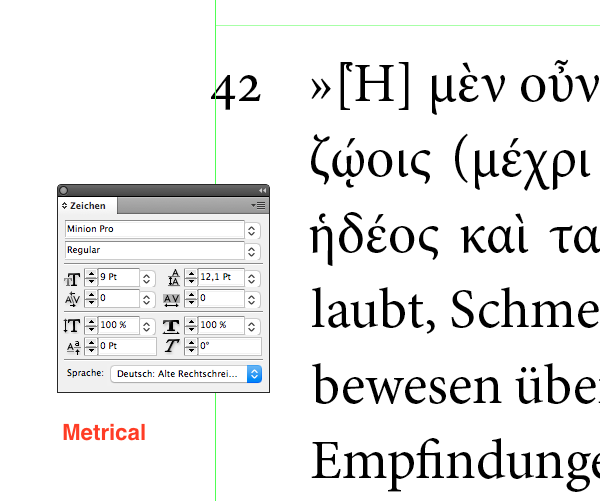 And when you have a look at the metrics of polytonic Greek in Minion Pro, you start to grow desperate. 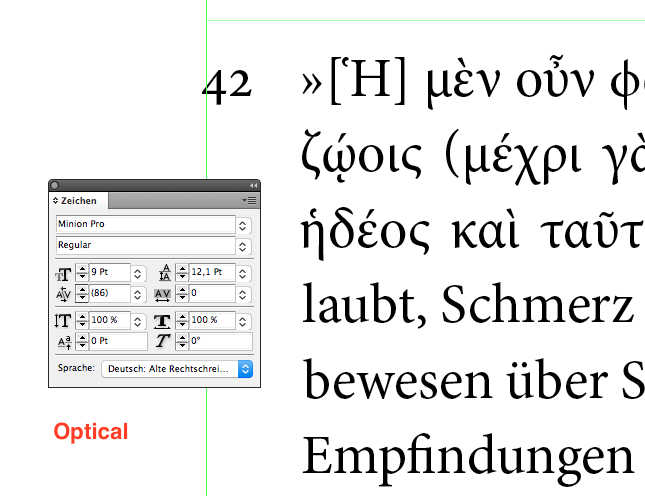 That's interesting (and I occasionally do use Greek, but never yet in Indesign for professional work). So does optical kerning solve that problem? Optical kerning is sometimes essential to avoid disasters, even in common fonts. Writing about Tchaikovsky in Gill Sans, for instance, isn't possible without it, because the designers forgot to provide for the "Tc" pair. Yes, optical kerning can alleviate these problems too, up to a certain point. I would perhaps go a little farther, manually, for I really feel the need to separate the diacritic from the square bracket at this small point size. Nonetheless, optical kerning is not bad in this instance. When you look at the standard value, you cannot but wonder how they could forget that diacritics have a certain width as well. 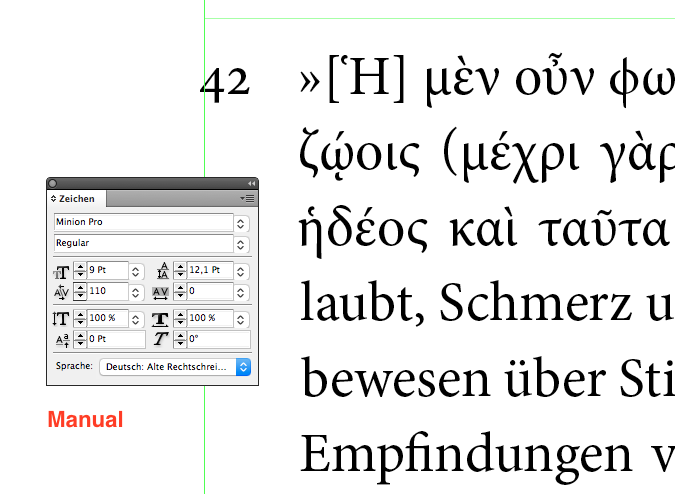 I would love to have the option of globally adding custom kerning pairs to a font via a Kerning Studio. This would allow us to correct simple issues like the Tc in Tchaikovsky. 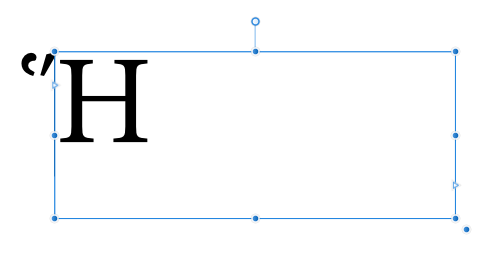 We can adjust optical alignment manually at the moment, so it would be nice to have a similar option for kerning. I second that suggestion. I would use optical kerning often if that were the solution offered, but personally, I think giving us a way to manage custom kerning pairs would be the superior solution in most cases, and perhaps easier for Serif to implement. Seconded. Optical kerning is useful to a degree, but the ability to add custom kerning pairs is essential. Quark has that possibility, it's a great feature.  Optical kerning is great, and a good discussion here. I'd like to go back to the another of the ideas suggested in the original post here: font management. I'd like to be able to group fonts. As a minimum, I'd like all the fonts of a family to be grouped and appear as a single item in the font menu, with a sub-menu perhaps for the variants of that font (regular, italic, bold, small caps, etc etc). That would massively simplify what is a very cluttered part of the AP interface right now. The idea of having user-defined font groups is a nice one, but perhaps that's too much to expect. Pinning particular font families, or having the most recently used or the most popular at the top would also be nice. This could be just for this AP file, or for all AP usage, or indeed for all files (if that info were available) -- I'm thinking about howmacOS presents Finder and file info, with a list of the current folder and a list of recent folders, and this info is shared across all apps. I accept that this info is perhaps just not globally available for fonts. These are nice-to-haves. But basic font family grouping (and hiding of individual fonts into a sub-menu) is a Should-have feature, in my view. Holding a modifier key when you click to display the font list could show only fonts (or families?) used in the current document. So shift-click to show the font selection list say, and you're limited to things you're already using in this document. And a preference option to swap the sense of the modifier maybe (so you could only see document fonts by default and use shift-click or whatever to see everything). Just a thought and probably easy to implement.